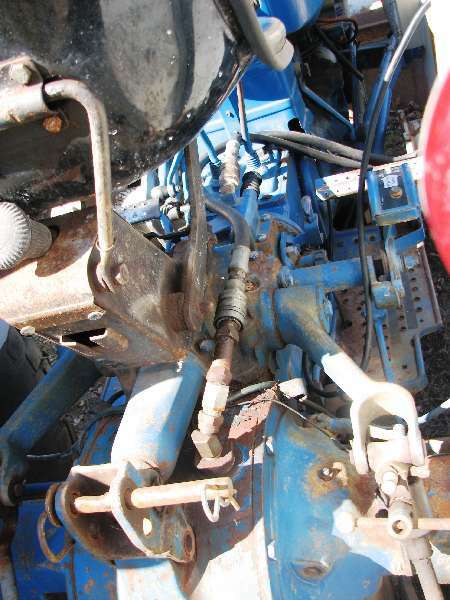 The Maintenance Manual on the CK30 shows 3 drain points for the hydraulic oil, 2 just inside the tires and one below the PTO. I can find the 2 inside the tires but I don't have one where the 3rd point is shown. I find what looks like a 30mm drain plug on a plate just in front of the 2 tires on the bottom of the transmission. I just want to be sure this is the 3rd plug before pulling it.